Join us for a preview of what’s new in Naviance for the 2018-19 school year. 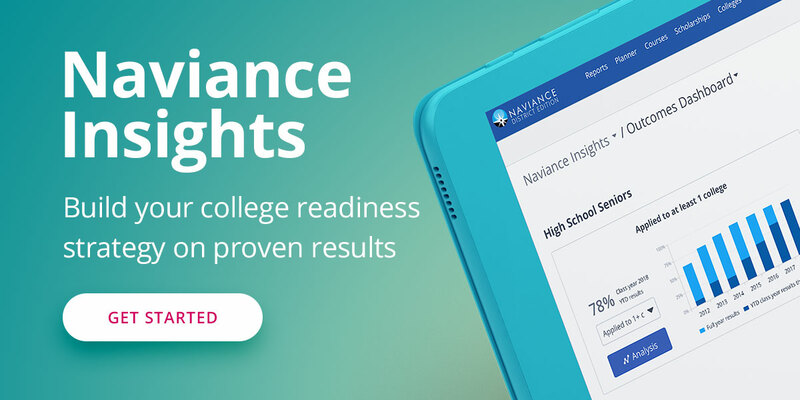 Learn more about Naviance Student, the all new mobile friendly Naviance experience that will replace Family Connection; Naviance Insights, a new college outcomes analytics tools; and a new Naviance eDocs teacher’s desk. The two webinars will be the same presentation. Please select the webinar that works best for your schedule.